Free range poultry including chicken, duck, goose and turkey plus eggs. 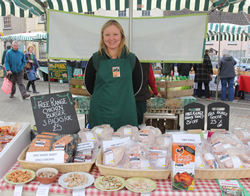 This entry was posted in Axbridge, Frome, Meat, SFM@Frome Independent. Bookmark the permalink. Both comments and trackbacks are currently closed.